Investing in various home improvement projects is a great way to boost your home’s curb appeal, comfort, energy performance, and overall value. These types of valuable investments are usually no easy task. The best way to make sure that you make the most of your remodeling dollars is to work with a company that puts customer excellence above profit. 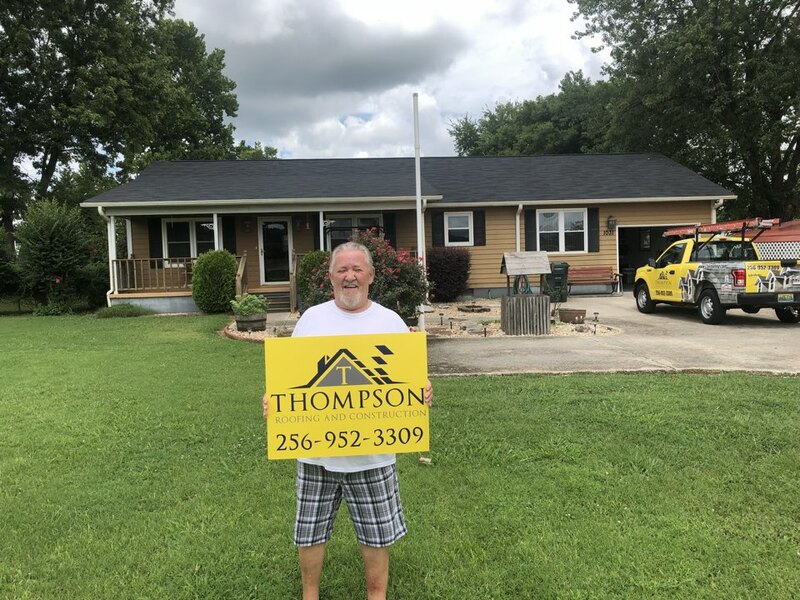 Thompson Roofing and Construction, the leading home improvement contractor in Toney, AL, since 2008, does exactly that. 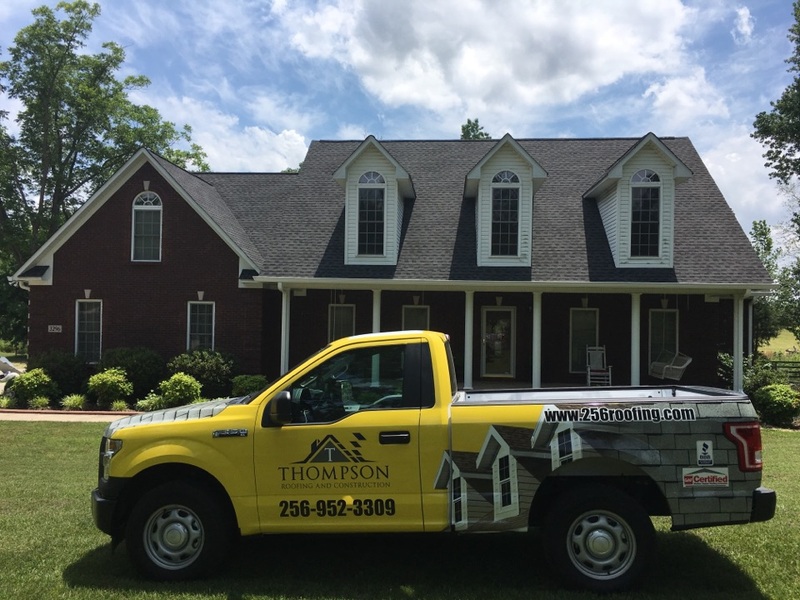 When you call on Thompson Roofing and Construction, you can expect nothing but the best value of your money with every project we handle. Over the years, we have gained a reputation for topnotch work that has solidified our presence in the home improvement industry. Hundreds of repeat customers in the region trust only us with their projects because of the professional quality of products and work we deliver every single time. ● Roofing – We maintain and repair damaged roofing in Toney, AL, to make sure you remain protected throughout the year. We also offer quality roof replacements for homeowners that need a stronger roofing system. ● Siding – We can install new siding that can give your home a fresh look from corner to corner while increasing its comfort and energy efficiency. ● Gutters – A functional roofing system won’t be complete without a reliable gutter system. We can replace your old gutters with new and improved ones. ● Additions/New Construction – If you need more space, we can construct additions for your home. ● Carpentry and Framing – We can perform carpentry and framing services that suit your needs. ● Flooring – We offer a wide range of beautiful and durable flooring options. ● Inspections – We can perform a thorough inspection of your home to identify potential issues. We’ve been a part of the roofing and construction industry for over a decade now and those years of experience has allowed us to successfully hone our crafts. 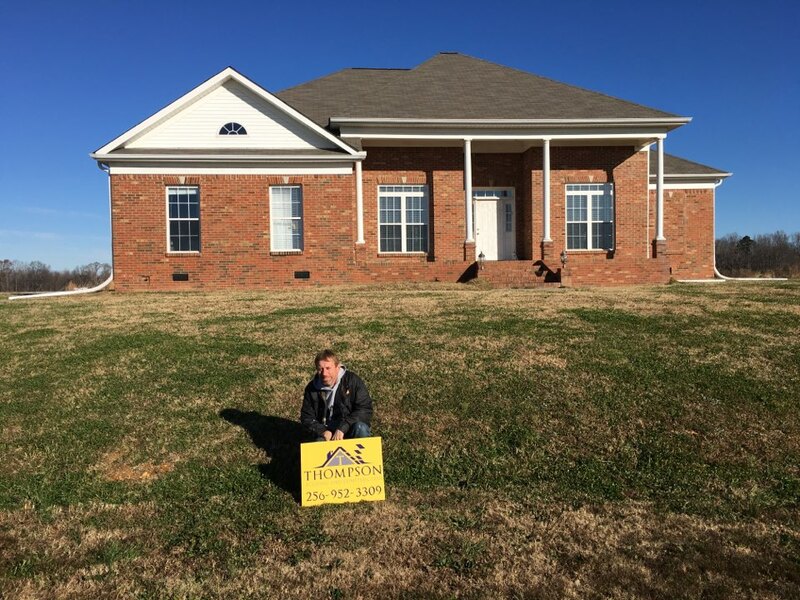 If you want to learn more about our services or get a free estimate, give us a call today at (256) 952-3309. You can also contact us through our online contact form while you are here on our website. 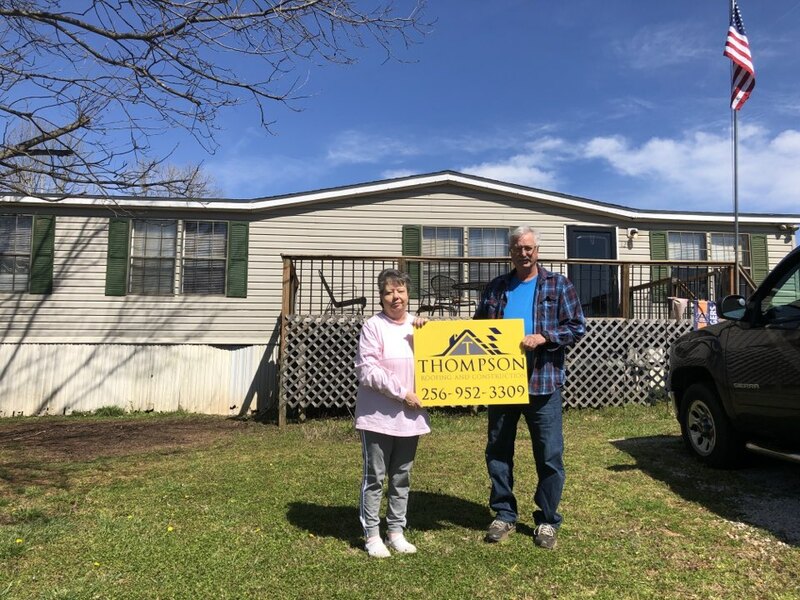 Thanks to Alfa Insurance and Agent Sandra Perry for helping us install an Ultimate Roof System after finding hail damage in Toney, AL. Hail damage was found in Toney Alabama. 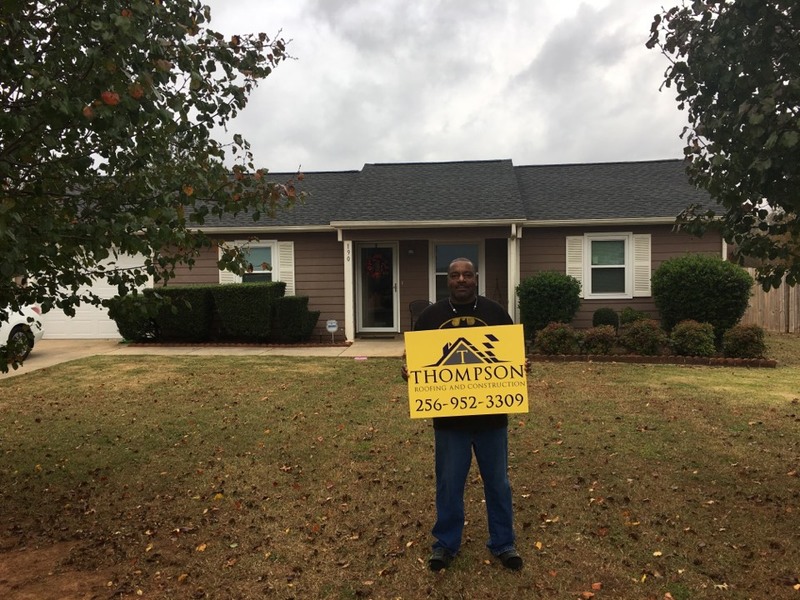 After installation of GAF Timberline HD we found a happy customer! Hail damage was found on this roof. 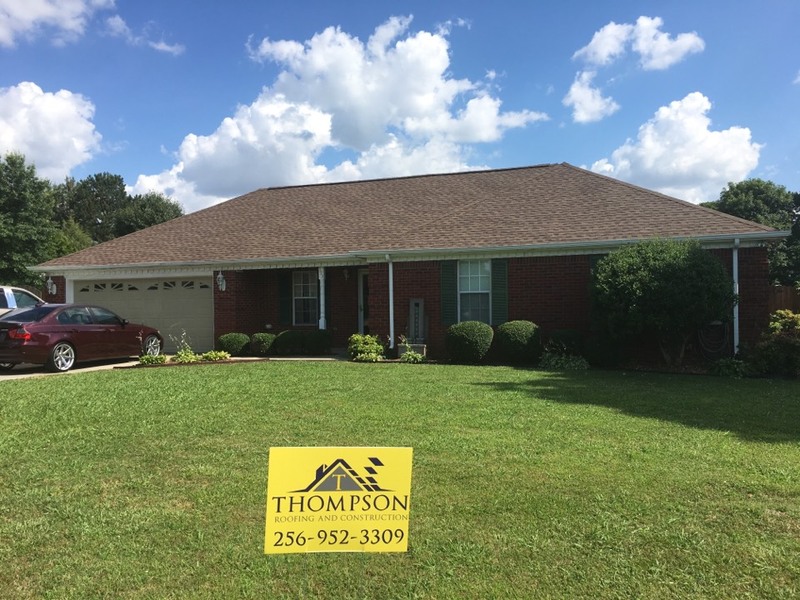 After installation of GAF Timberline hd Charcoal we found a happy customer. 3 Tab wind damaged roof was on it's last leg with no shoes. 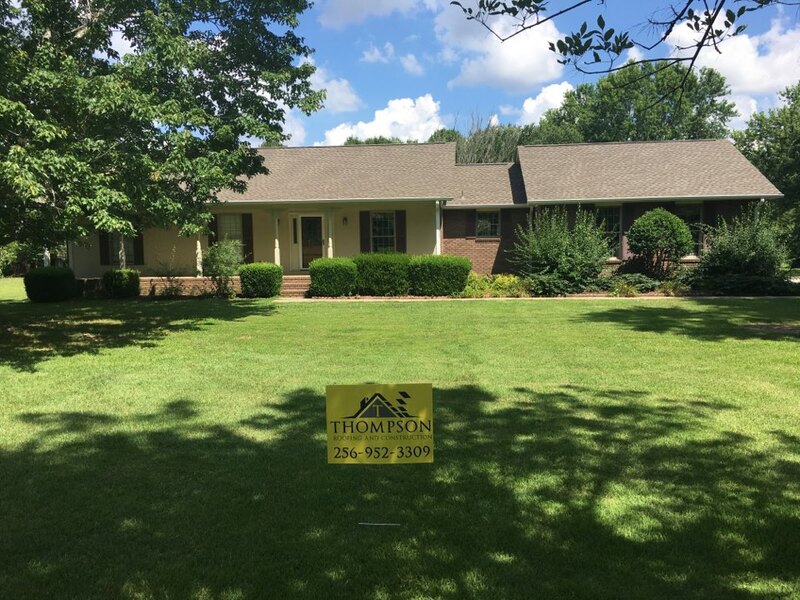 With a Gaf Timberline HD architectural shingle,now this roof is both legs with cleats on! Hail damage was found on a 3 tab roof. Now they have a Gaf architectural upgrade. We found hail damage and the customer found a Lucky 4 leaf clover with Thompson Roofing. We are not hard to find though. Just look for the yellow truck!